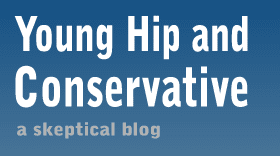 Young, Hip and Conservative: a skeptical blog: Blogger asks the world to stop sharing clickbait links. What happens next is completely unexpected and will change your life. Blogger asks the world to stop sharing clickbait links. What happens next is completely unexpected and will change your life. This link is exactly what you deserve for responding to that headline. It will change your life, and the world, and your life.